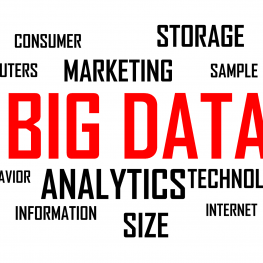 With the continuous growth of data volume, it has never been easy to survive in this Big Data Era. Besides managing huge volume of data, corporates nowadays have to take care of their sustainability performance as well. To support our industry in applying sustainability concepts in this Big Data Era, Sustainable Fashion Business Consortium (SFBC) and SAP Hong Kong co-organise this seminar to provide the latest updates and techniques on data management related to supply chain, CSR, energy usage measurement and digital customer engagement. 4:30 – 5:00 pm How does company leverage big data to handle end-to-end planning? Mr. Sam Wong, SAP Hong KongMr. Sam Wong has been at the centre of Digital Marketing, Technology, Data and Customer Experience living in the trenches as a Developer, Consultant, Solutions Architect, Business Performance Analyst, Engagement/Project Manager, Product Manager & Leader of teams for many years in the business. The diversity of Sam’s skillset allows him to be a trusted advisor quickly amongst his clients from many angles, with multiple approaches luring confidence and giving them a light on their return on investment. Ms. Christina Tang,Founder and CEO of Blue Sky Energy TechnologyBeing the founder of Blue Sky Energy Technology, Ms. Christina Tang established this technology company in 2014 to assist corporates and institutes in energy costs saving by using energy monitoring system. Blue Sky provides easy-to-install energy sensors and web platforms which enable users to collect their energy usage data with analysis. Recently, Blue Sky has applied such technology on New College of HKU (The University of Hong Kong). Christina will present this case study during the seminar. Mr. Alex Chan has got over 10 years’ experience in Sustainability Consulting and Strategic Engagement for clients internationally and based in Hong Kong and China. He advises clients on CSR, Energy Efficiency Audits, Sustainability and Energy Management System (EnMS), Carbon Footprint (GHG Protocol; ISO 14064-1), Water Footprint (ISO 14046) and Cleaner Production Audit (on supply chains in China). Alex is presently leading the Energy and Sustainability Services team for Schneider Electric (Hong Kong and South China market). He is also the Convenor of Environment and Energy Working Group for the 30SGroup and member in the advisory panels of Climate Change Business Forum (CCBF) and Environment, Social & Governance (ESG) advisory group of Business Environment Council (BEC). A functional professional with 20 years supply chain solution experience having worked in IT Industry and End-user environments. Experienced in Process Redesign, developing IT Architecture Roadmap and business consulting. Presently Mike has solution consulting role at SAP as a Senior Solution Manager for different industries. Prior to join SAP, Mike worked for Luxury Fashion company as APAC Senior Supply Chain Project Manager. Mike got the MSc in Engineering Business Systems from Coventry University and BSc in Computing from the University of Bolton.